Welcome back to The Viceroy my friends! In this installment, I had a few days in between this and the last installment, so after some reading and thinking on the game (thinking about the game when not playing it is a good sign), I decided to try something. I did an experiment wherein I decided to get a new assignment and start things with a different focus. 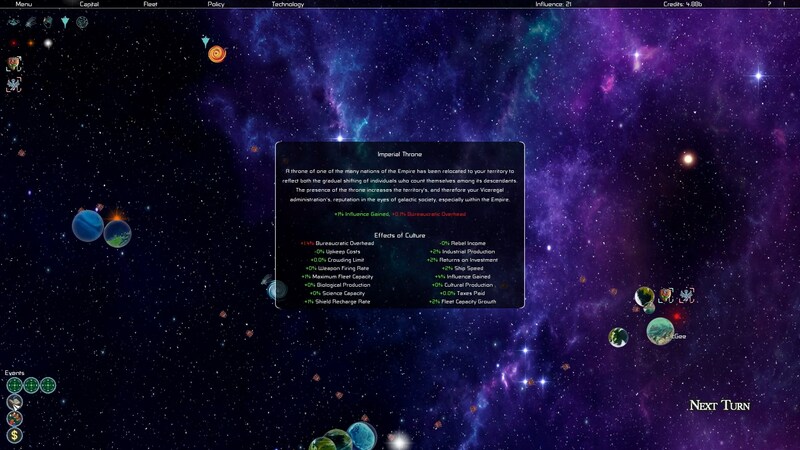 In this entry I completed one of the nine territorial challenges and am close to curing another, built a really nice fleet, and had an Imperial throne built in the neighborhood. Not too shabby! Thanks for watching! Next story Let’s Play The Viceroy – Entry 5 – The First 4R Game?